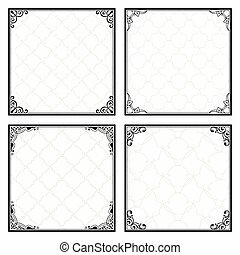 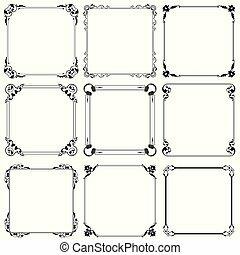 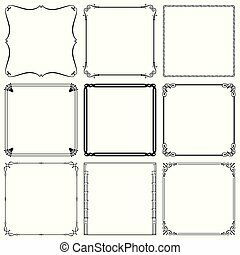 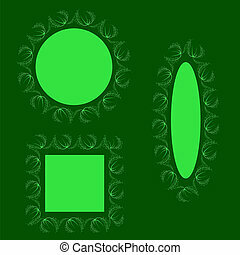 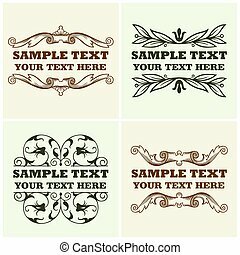 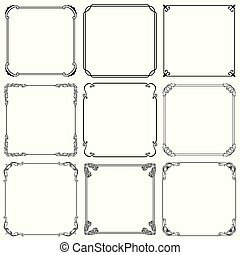 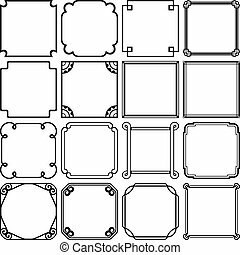 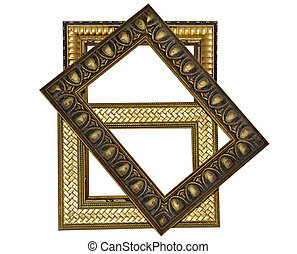 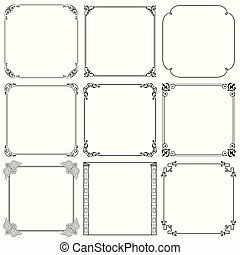 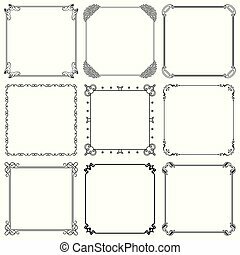 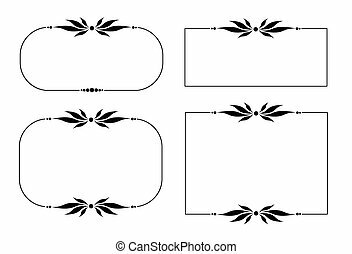 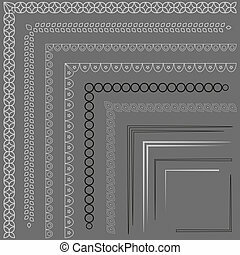 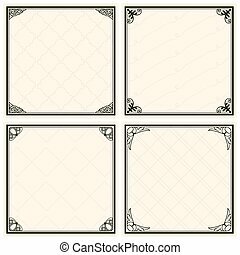 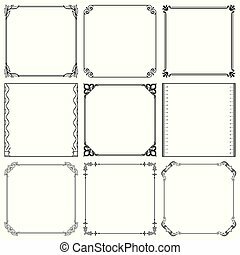 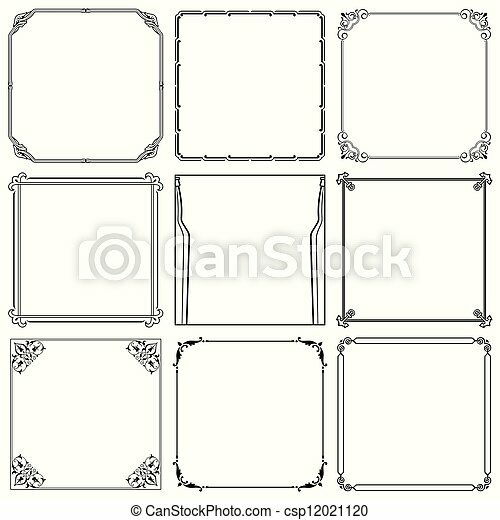 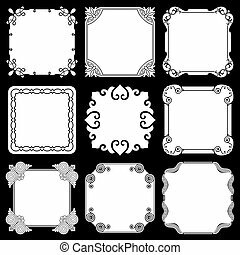 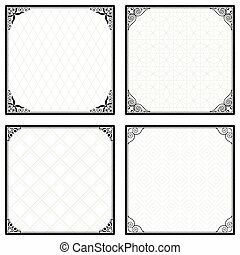 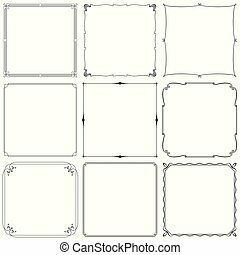 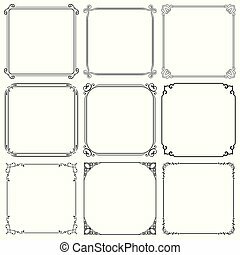 Set of decorative frames. . Pattern border pack. 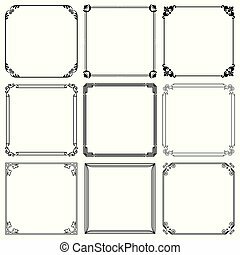 Summer Leaves Decorative Frames Isolated on Green Background. 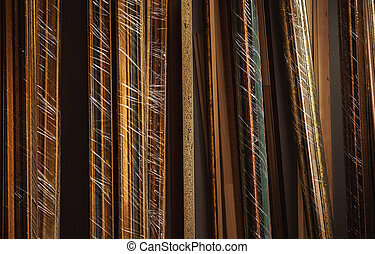 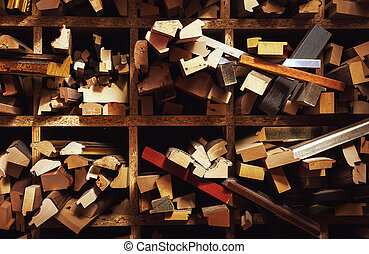 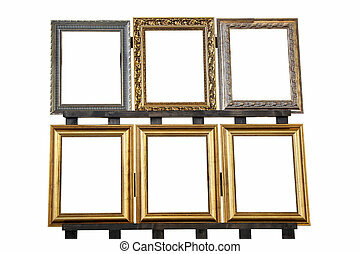 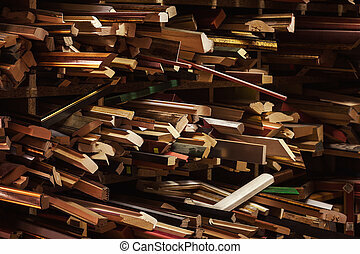 The different style frames in a pile ready for a picture or photo. 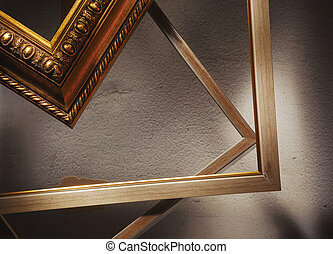 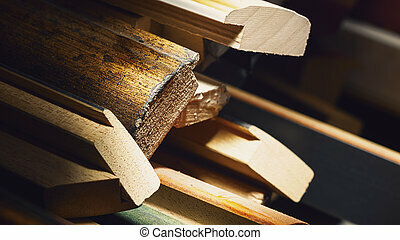 Abstract composition of various wooden decorative frames for pictures in workshop. 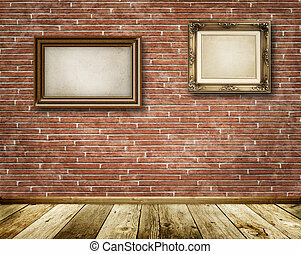 Two decorative frames on brick wall. 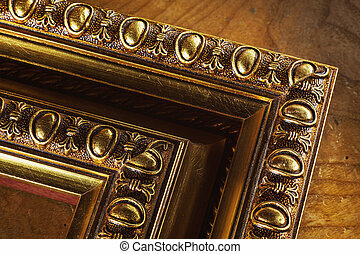 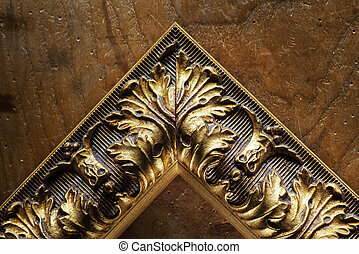 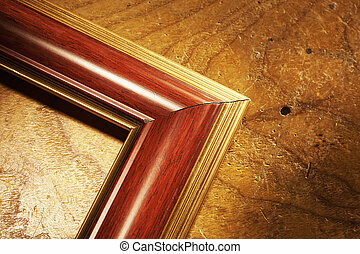 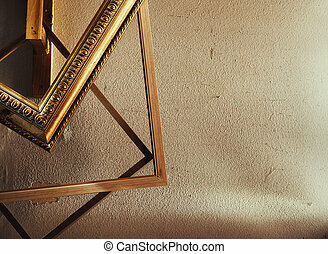 Abstract composition of a wooden decorative picture frame on old wooden plank.